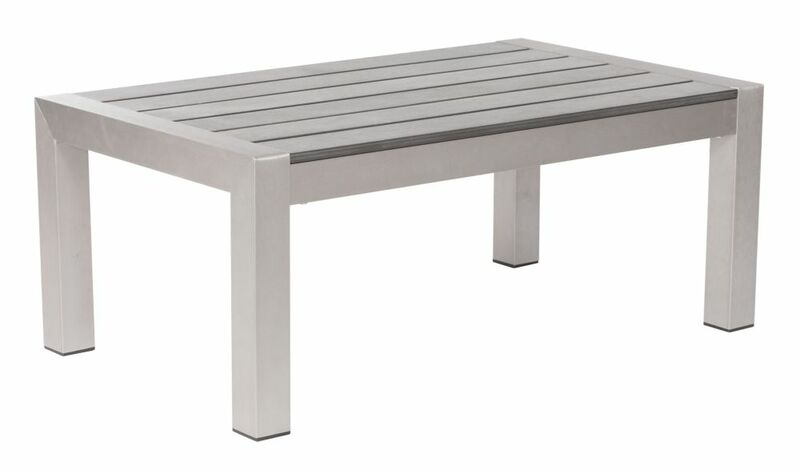 Cosmopolitan Patio Coffee Table in Brushed Aluminum The Cosmopolitan Coffee Table is the perfect place to gather your friends and ply them with cheese. Its sophisticated shape is bolstered by an aluminum frame with a polyurethane simulated wood top. Sturdy enough to withstand even the strongest of goudas.